Friday was the National Day of Silence, a youth movement meant to bring attention to the issue of bullying of lesbian, gay, bisexual, and transgendered (LGBT) students. During the day participants remained silent in order to symbolize the silence LGBT students keep daily as they endure abuse due to intolerance. Student who are involved in the event had a card to display to clarify their intention to participate. This did not, however, give students the right to ignore or not respond to their teachers. English II teacher, Sommer Husbands, is the sponsor of the GSA club who put on the Day of Silence. 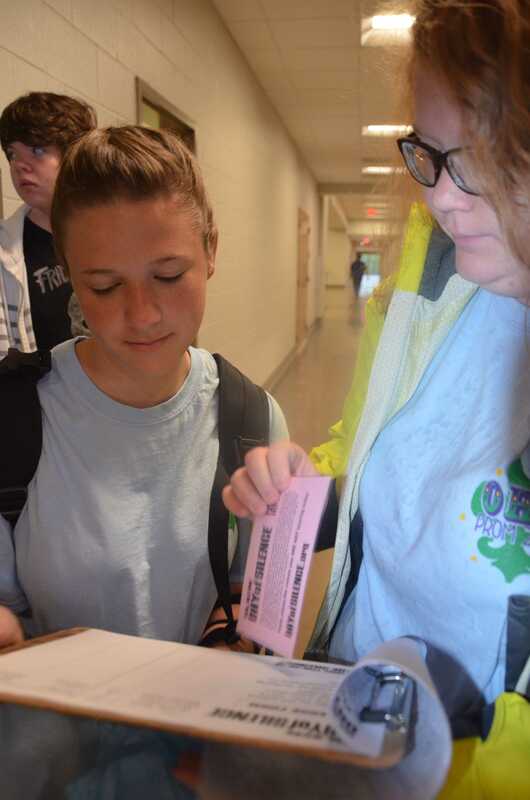 Sophomore Dayton Smith and senior Mackenzie Ross sign up to participate in the Day of Silence. 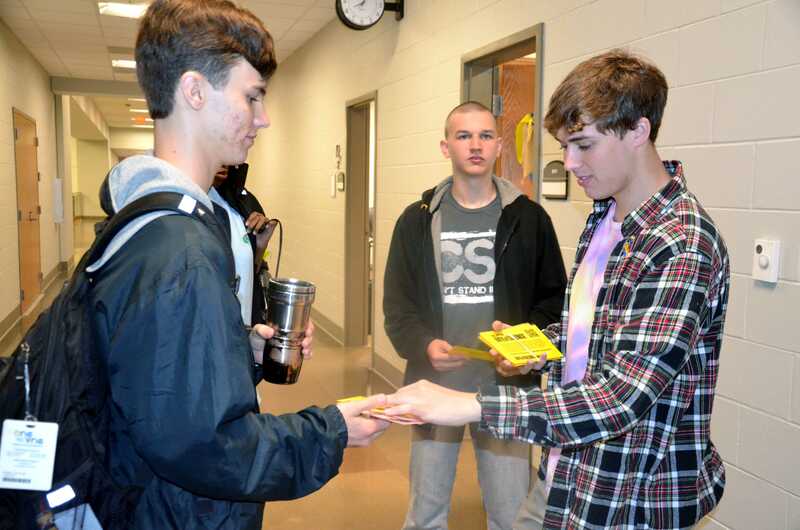 Senior Joseph Whitaker (right) passes out cards to students who decided to join in the silence. Whitaker helped organize the event and get more students involved.